Apple was awarded 2,003 patents in 2014 by the U.S. Patent and Trademark Office, making "impressive gains" and inching closer to the top 10 companies receiving credit for intellectual property inventions. Apple's advanced Touch ID unlock concept detailed by AppleInsider in December. The latest rankings from IFI Claims Patent Services, published on Monday, show that Apple grew its patent counts by 12.8 percent in 2014. That was enough to put the company in 11th place, up from its No. 13 ranking in 2013. Apple finished with 2,003 patents, just 92 short of the No. 10 company, Panasonic. The iPhone maker finished ahead of General Electric in 12th place. Retaining a distant first place was IBM, which has held the top spot for 22 consecutive years. Big Blue was awarded 7,534 patents by the USPTO in 2014, a 10.6 percent year over year increase. Finishing in second was Apple rival Samsung, which was awarded 4,952 patents, up 5.9 percent year over year. Rounding out the top five were Canon, Sony, and Microsoft. And while IFI characterized Apple's gains as "impressive," the company's nearly 13 percent growth couldn't match search giant Google, which saw its awarded patents surge 38.6 percent. That helped Google enter the top 10 for the first time ever, ranking 8th behind Qualcomm. Overall, granted U.S. patents increased 8 percent to an all-time high of 300,678. 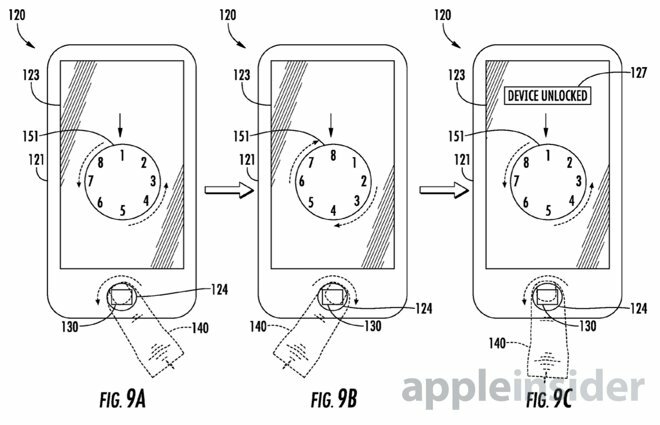 As always, AppleInsider kept close tabs on Apple's patent filings throughout 2014, as the inventions offer hints of what future products the company may be working on. Among the more interesting concepts were a smart pen, transparent displays for augmented reality, an interactive holographic display, bone conducting EarPods, and a camera remote control.